Spring is in the Catskills air at last, and now that the days are longer and warmer, Go There, Eat That is back with recommendations for fun places to eat and drink locally. In addition to events, this month brings several new players to the food scene. Catskill Candies & Confections, the Margaretville chocolatier, launches a brick-and-mortar Main Street shop on May 14, after two years selling at markets and other retailers. The reboot of beloved Phoenicia breakfast joint Sweet Sue’s this month has pancake lovers rejoicing, while Mt. Tremper’s Foxfire Mountain Inn revs up its kitchen for the first time (more on that below). This month also marks the beginning of most seasonal farmers’ markets; find one near you on Pure Catskills’ website. Here are Catskill Eats’ first round of picks for May. Got a tip to share on an upcoming event? Drop us a line. 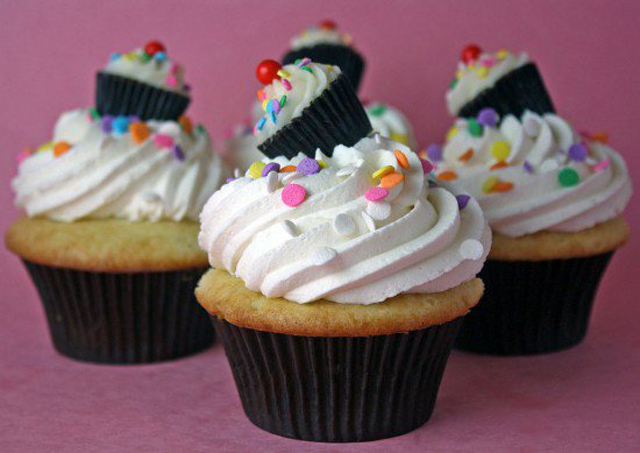 Gardiner Cupcake Festival: Saturday, May 14, noon to 6 p.m. (rain or shine), Wright’s Farm, 699 NY-208, Gardiner. This event is pretty easy to sum up: 30,000 cupcakes. The annual festival, held at a 100-year-old apple orchard, celebrates cake in all its handheld glory, offered by professional bakeries from throughout the region (full vendor list here). An amateur baking contest will award prizes for categories like best tasting chocolate and best Star Wars themed. To balance the sugar, there are other food vendors featuring Mexican fare, barbecue and pizza. Live music, crafts booths, wine tastings and lots of activities for children round out the day’s agenda. Admission is free. Craft Brew Boogaloo, Saturday, May 21, 11 a.m. to 6 p.m. (rain date May 22), Cantine Field, Saugerties. Seventy-five local and regional craft breweries show off more than 150 brews at the second annual festival, which also features Catskills food trucks, live bands and booths of handcrafts. Tickets start at $50 (designated drivers are $10). The Upstate Table at Foxfire Mountain House: Sunday, May 29, 6 to 8:30 p.m., 72 Andrew Lane, Mt. Tremper. Cookbook author Rebecca Miller Ffrench’s new events company has teamed up with the owners of the Mt. Tremper inn for an evening of “community, food and conversation.” Ffrench will cook from her new book Whole Protein Vegetarian, and Delaware County’s Awestruck Ciders brings the libations. Admission is free but RSVPs are requested via EventBrite or email.